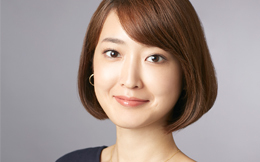 Working closely with the chief brand officer for SHISEIDO, Saori has been an instrumental player for the global brand SHISEIDO, the 146-year-old Shiseido Group’s flagship brand. In charge of brand strategy, Saori manages initiatives in branding, including identifying the brand’s core values and building the brand architecture that is key for aligning the company’s 360º degree communications, especially now that the brand sold in 88 countries and regions. Saori also acts as a brand ambassador internally, promoting understanding of the brand’s value among SHISEIDO’s brand marketing team members in local and regional markets.